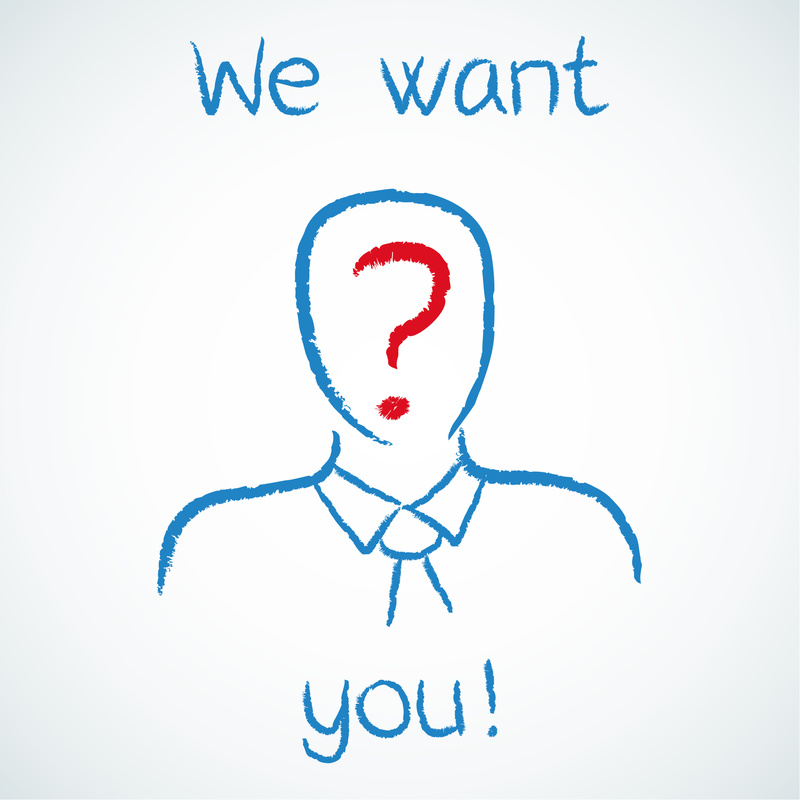 Have you ever considered serving on the Board of GLCH? Our Board of Directors are all volunteers who share a passion for contributing to the health and wellbeing of individuals, families and the community as a whole. Board membership is an honorary position with no fees or salaries paid. Up to six directors are elected from the membership of GLCH and up to three directors are appointed to ensure a robust skill mix on the board. Board Directors act in good faith, honestly and in the best interests of the Service, continually focused on improving the provision and accessibility of high quality affordable health care and support of people in East Gippsland. Ensure compliance with legal requirements and standards of performance. We encourage members of the East Gippsland community with an interest in our organisation to consider nominating for a Board position. Membership to be eligible for nomination to an elected position in 2015/16 needs to be received by June 10, 2015. Directors are required to serve on one Committee, either Finance or Audit & Risk, which meet in alternate months. If you are interested in finding out more, or know someone else who may be interested, contact Marnie Graham on 5155 8300. The ‘Lounge’ Group go golfing…miniature style! Our ‘Lounge’ Group participants (pictured below with staff and volunteers) recently showed off their golfing prowess at Footbridge Mini Golf and Lolly Shop thanks to the kind donation of free passes from business owners Greg and Debbie Jerkins. 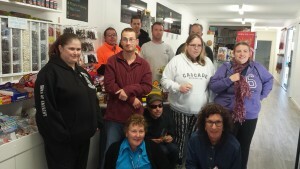 The Lounge Group, for young adults with special needs, meets Thursday’s at GLCH were they enjoy a variety of activities including social, leisure and life skills. Contact the Aged and Community Health Service Access Team on 5155 8300 if you would like to find out more about the Lounge Group. 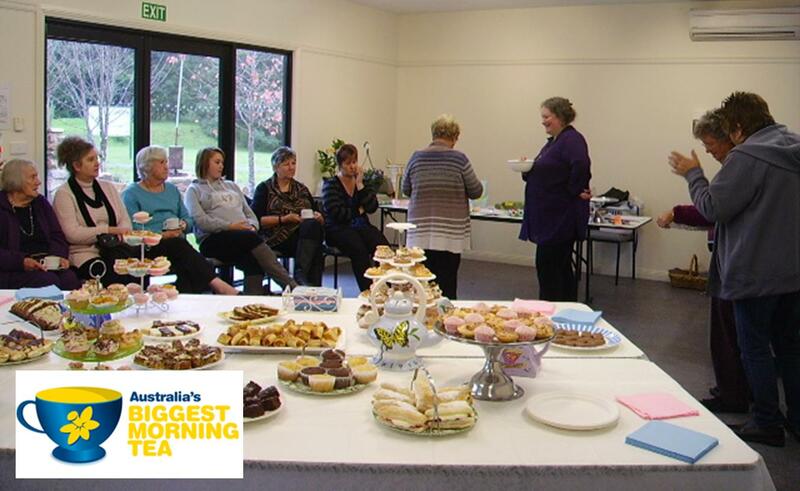 The ‘Thursday Group’ at our Nowa Nowa site recently hosted a Biggest Morning Tea, raising $268 to help the Cancer Council with research, prevention and support. Congratulations to all involved. If you live in Nowa Nowa and would like to find out more about our Thursday Group call in or phone 5155 8300. 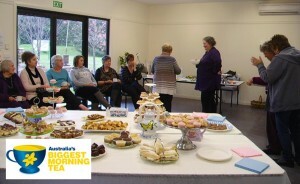 Gippsland Lakes Community Health (GLCH) will celebrate National Volunteer Week on Tuesday 12 May by treating their hardworking volunteers to lunch in recognition of the amazing work they do. “National Volunteer Week provides a great opportunity for us to say thanks to our many volunteers who help make our services and programs stronger, and to let them know their efforts and commitment are appreciated,” explained Mr Chris Tipa, Executive Manager of Aged Care Services at GLCH. In the last 12 months GLCH’s meals on wheels volunteers have been incredibly busy delivering 21,237 hot and cold meals to 283 clients in Bairnsdale, Paynesville, Lakes Entrance and surrounding towns. Our volunteer transport team have driven 154 clients to non-urgent medical appointments recording a total distance of 24,727kilometres and 3,316 volunteer hours; and our Planned Activity Group volunteers in Lakes Entrance have also cooked up a storm preparing 1,460 meals for hungry group participants totalling 2,940 volunteer hours. “Our volunteers are an invaluable asset to GLCH, our clients and our community and we are truly grateful for their tireless support and dedication,” added Mr Tipa.